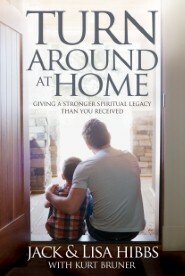 Turnaround at Home by Jack and Lisa Hibbs has one focus, showing parents a guide to creating a God honoring home for their children. This book talks about legacy and how to leave a better legacy than you received. Every true legacy has three cords; Emotional, Spiritual and Social. The Hibbs explain that a child’s legacy is made up of the Spiritual, the Emotional, and the Social. Spiritual: What is inside their hearts. Emotional: How they express themselves and reveal themselves. Social: How they live their legacy out with respect and responsibility. Each cord is separated into different chapters and discussed at length. One of the final chapters has examples of things you can do specifically to turn things around. I really enjoyed this chapter and found it very helpful. All parents and grandparents should read this book and especially those who have a biblical worldview. I would recommend this book to new parents and to those who have older children. A complimentary copy of this book was provided for review purposes by David C Cook Publishing. I was not required to post a positive review and the views expressed in this review are my own.